As you may know by now, I quit my last corporate job when I was 29. A lady shouldn’t tell, but that was over four years ago. What you probably don’t know, is that my initial plan was a bit different. 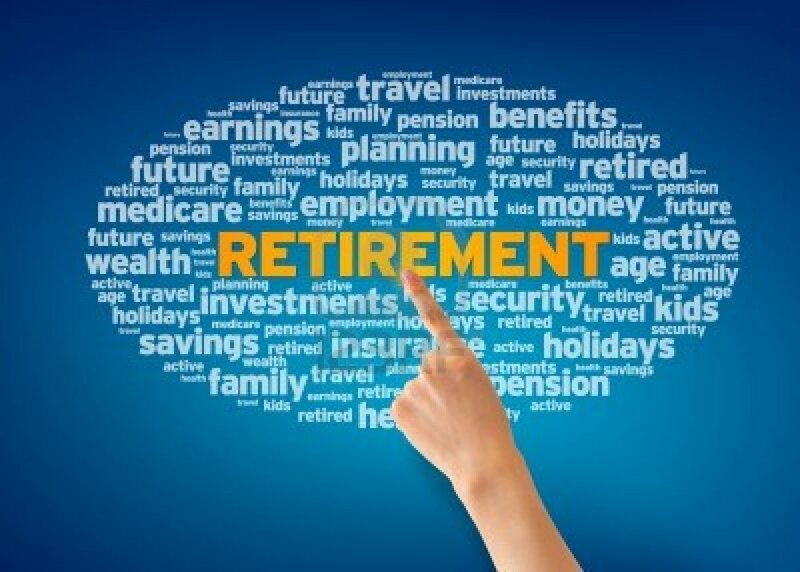 When I started working toward early retirement, better said when I graduated college, as it was always a plan of mine to make an early exit, I thought I would retire around age 40. Twenty years of entry level jobs during my student years and corporate jobs from 23 to 40 should more than provide for a comfortable life in early retirement. After all, if you manage to save 50% of your income, financial independence is only 16 years away. But when I worked that last job, I really hated it. Conditions were getting worse every month, I had back pains, and dreaded going to work every morning. I had been working on several side hustles for the previous couple of years. I was tutoring kids after school, teaching French and Spanish, and writing travel posts for several websites. I had roommates, was renting my parking space, and saying yes to every opportunity to make extra money. My income from all those hustles doubled, sometimes tripled my day job’s salary. When I looked at my options, there were two choices. I could have stayed there, miserable, for a few more years, and quit my job once my nest egg was the size I wanted for early retirement, or I could leave my job right now, and keep working on my side gigs, maybe a bit longer, but at least in a nice environment. I chose the latter. Turns out, a year later, my investments were doing well and I didn’t need those gigs anymore, financial independence had come a decade earlier than expected, thanks to hard work, diligent savings and a few lucky investments. But taking a shortcut and dropping your terrible day job, even if that means working a bit longer, is always an option. After all, if you are 30 and in good health, chances are you won’t want to sit on a hammock all day anyway, so why not earn money while doing something fun at the same time? Over at Wealth Note, Levi shared his plan to reach financial independence. He makes $30K a year at a job he hates, and wants to save $1.2M so he can have $6,700 a month in passive income and travel the world to play poker. Turns out I met a guy in Guatemala who funded all his travels by playing online poker. He said it was pretty easy to spot beginners and playing against them made him almost a guaranteed income. Then for fun, he would enter competitions here and there in the countries he visited, losing and winning, but overall he said the level of players was often inferior to that in the US. So if Levi wants to work a tedious job and save at best $15,000 a year because on $30,000 you can’t do much better, financial independence looks quite far away. He could however take a risk and try playing poker professionally to make money. That is different to entering any competition for fun. It would be a well thought strategy, to play against weaker challengers, so his odds of winning are solid. The traveler I met in Guatemala had started playing online while working at his day job, and when he saw his income was enough to travel the world, he packed and left. He was making around $2,000 a month if I remember correctly, because he spent most of his time traveling and didn’t want to put more effort into it, and then he occasionally won big at local tournaments. He lost money, too. Like him, I have met day traders, forex traders, digital nomads traveling the world thanks to their blog income or giving conferences on their special skills. Some sell ebooks, some try to get better returns than a “high interest” savings account with their portfolio. I can assure you the vast majority doesn’t have $1.2 million in cash to finance their dream life. – Having a mobile source of income. What I mean by mobile source of income is unlike a wandering bartender who needs to ask for a job every time he moves to a new town, those travelers take their freelancing, trading or blogging job with them. It doesn’t matter if they work from Bangkok or Buenos Aires. It doesn’t matter if they make a lot of money either, because they have their savings from their old jobs. They probably have enough passive income to cover 25 or 50% of their expenses, without digging into their capital. When they are in cheap countries like India or Nicaragua, they may even cover all expenses. So they can live the life they really wanted to, without touching their nest egg, or staying any longer at a dreaded job. Another option I had thought about back then, was looking for a cool job. I love teaching, so why not a job as a primary school teacher? I would have taken a serious pay cut, but still been able to live on my salary, without touching my nest egg. Said nest egg would have grown, thanks to the power of compound interest, while I was having fun with the kids, and come age 40, I would have cashed out. I wanted to have more free time, and even though teachers get summer off, I opted for travel writing instead, so I could travel and make my own schedule. With that plan, you still need to work, which is why I call it the early exit, you do not cross the finish line, you take the scenic road. It is much more enjoyable, allowing you to savor life until you get there. What do you think? Would you rather work less at a terrible job or delay early retirement while you work your dream job? Interesting stories and goals for those people Pauline. “Would you rather work less at a terrible job or delay early retirement while you work your dream job?” Always the latter. However, I’m currently doing the prior. Time to focus on those side gigs I think and change my journey to “early” retirement!! moneystepper recently posted..Is the Eurozone crisis over? Or is it quietly getting worse? My old job was terribly stressful and I was pretty miserable towards the end. I also had back pains from bending and sitting the same ways day in and day out. I am very glad I turned my side hustle into my full-time job. Now I don’t have to deal with all of that anymore! I wouldn’t retire for the sake of retiring! If I had a dream job, why even retire? Moneycone recently posted..Is it possible to earn 3% on your savings account without jumping through hoops? Taking this “short cut” to early retirement is our plan, as well! I’m happy to keep working – but I’m eager for it to be on my terms and for myself, instead of working for someone else in a job that I hate. This is something Rick and I think about often. He’ll be 50 in six years, and that is the very latest we want him to be in a position in which he “has” to work. If we stay on course, we can make that dream come true. Our side hustle stuff is increasing, as is his job income, so we are using that to pay down debt ASAP and start socking away savings. Great post, Pauline! I’ve never really looked at early retirement itself as a goal. I’ve always viewed mine as a quest to create a life today that I really enjoy. That likely includes some kind of income-generating enterprise and I’m totally cool with that if I like it. So I’m with you here. I would much rather put off “retirement” if it meant I had more years to actually spend enjoying life. I love my health care job even though it is very stressful and hard on my body. I would like to work less but I can’t afford to do that right now. If I hated my job there is no way I would do it. I work with people who hate their jobs and don’t like the clients and everyone knows it. When you work in health care you are constantly reminded that life is short so why waste any of your precious days doing what you hate? jane savers @ solving the money puzzle recently posted..Can A Canadian Celebrate HELOC Freedom On Independence Day? For me, having mobile income is important, which is why I’ve been working to build up my freelance writing. For me, mobile, not only refers to location but also to time. As an actor, my hours are constantly changing depending on what auditions are happening or what show I’m in and my location is always changing depending on where I book a job. It’s important that I am able to maintain my other sources of income when those changes arise. John S @ Frugal Rules recently posted..What is an Emergency Fund Really For? I would like to take the short cut. I’d love to have mobile income so that I could travel or live anywhere. Who knows though, maybe I will end up in a job I love in a year or two. I’m not going to count on it though! Having a plan B never hurt. E.M. recently posted..When Have You Paid the Price? I’d certainly work longer in a job I love and feel fortunate to be in the position to do so. But retiring early only somewhat applies to me, I guess. I’m closing in on the big 5-0, so in comparison to those waiting to retire young, I already missed the boat! 🙂 Because we both do enjoy our jobs, we plan to continue working full-time until the girls at least graduate from college. Sadly, mobile income at this time isn’t really applicable to me as financial advisor. But I love the idea of it and expect when I do “officially” retire that I will have some streams of mobile income to help keep me busy (and earning money too) while we travel, etc. My plans to fund early retirement with poker winning isn’t going too well, as all the winnings keep going to other people. I try telling them that this is messing up my retirement plans, but they are jerks and refuse to lose on purpose. Why are people so mean?! I enjoy my job so for me it’s a win. When I feel overwhelmed is when it’s time for me to leave. Good for you! I love teaching but never thought about it when going to college, and chose a more lucrative degree in business. I don’t think I ruled out teaching for the money though but it didn’t occur to me to make it a career. I think I’ve positioned myself so that I don’t hate my day job enough to want to walk away. It would be hard to replicate that income doing something else, and I went to school for a long time, so I’ll stick it out for at least another 10 years. If I were starting over, I’d probably be the same thing, just be smarter with money so I could have the choice to walk away whenever I wanted. That is a great position to be in! Like Kim form Eyes on the Dollar said, I picked a career that I generally really enjoy. It’s meaningful and challenging most of the time and I feel what I do makes a difference. However, I would have handled getting my education much differently (going to college for the full two years (cheaper tuition) and then completedthe final two years by distance education so I could work and get experience. Waaaay better option. I also would have made very different financial decisions so I would be able to retire early if I wanted too. Thanks for the post, you always make me think, Pauline. You are lucky to have found a pleasant career Lindsey. I wish all kids were tested before college to make sure their career fits their personality. I am fortunate that it worked out so well. I wonder if I would have made all the same choices if I would have been in a different financial situation – I might have branched off into a brave new world of something else. And that’s probably the crux of it for me, having the freedom to make choices that living paycheck to paycheck doesn’t afford me. Well, I think I would be more likely to continue working the job that I don’t want that could lead me to early retirement faster than getting and doing my dream job. I believe that being able to retire early means I could do anything I want any time. I don’t really like to work for others, so I might as well use the money that I was able to save on my previous job and start my own business. I make less now working my dream job, but I also get to do everything I would want to do in retirement. I spend my days writing, reading, traveling, and hanging out with my husband. It doesn’t get much better than that! typisch mensen niet gepraat over dergelijke problemen. Naar de volgende! dat jij misschien enige ervaring met zoiets als dit. lezen van uw blog en ik kijk uit naar je nieuwe updates. It’s easiest to save money when you don’t have it in your hands; you’re effectively taking the decision of whether to save that money out of your control. There is free basic financial advice at Industry Super.